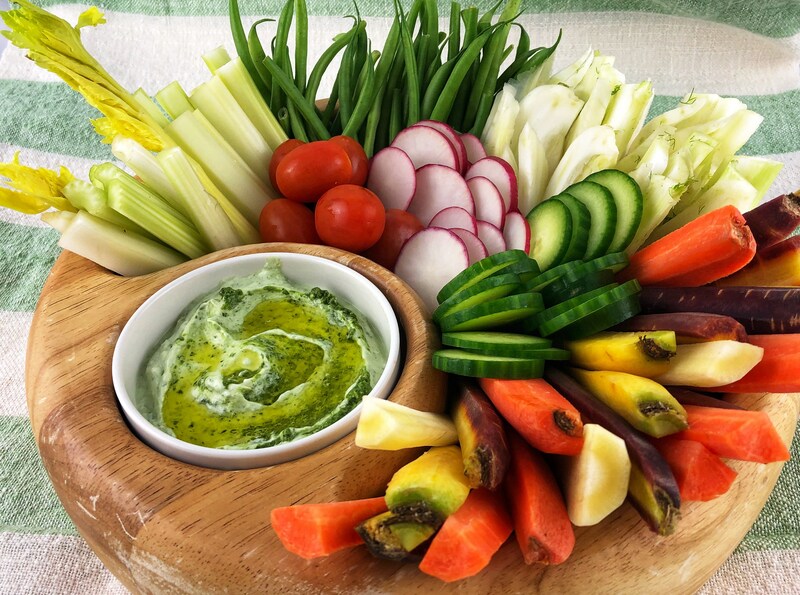 There are so many crudite variations.. This one looks and tastes so good! You can use any vegetables you like but this presentation turned out beautiful. It consists of any fresh vegetable medley you fancy accompanied by this amazing super simple pesto yogurt dip! The mix of colors keeps it bright and fun. During different harvest seasons you can always substitute with other vegetables.